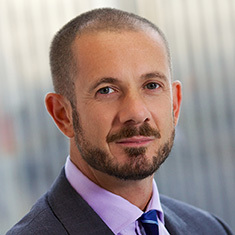 Neil Robson, a regulatory and compliance partner with Katten Muchin Rosenman UK LLP, focuses his practice on counseling hedge and private equity fund managers, investment advisers, broker dealers and proprietary traders on operational, regulatory and compliance issues. He regularly addresses Financial Conduct Authority (FCA) and EU authorization and compliance issues under EU directives, cross-border issues in the financial services sector, financial crime (including market abuse, money laundering and bribery), regulatory capital requirements, regulatory reporting and disclosure obligations, formations and buyouts of financial services groups, structuring and marketing (financial promotions) of investment funds and other financial services products and securities, conduct of business rules, as well as data privacy/GDPR compliance. According to his peers, Neil "knows everything there is to know about regulations that US fund managers need to do business in the UK," adding that they "couldn't recommend him more highly" (Who's Who Legal, 2019). Neil is often mentioned in the media and he is a frequent speaker at industry conferences regarding developments in UK financial services regulation, including the Alternative Investment Fund Managers Directive (AIFM Directive), MiFID II, short selling and market abuse. Representation of UK and other fund managers in relation to the impact of the AIFM Directive on their ongoing operations including authorization/registration, delegation, restructuring, marketing, disclosure and remuneration issues. Provision of advice to an activist fund manager in connection with its UK acquisitions, including reporting issues under UK takeover rules, concert party issues and negotiations with the UK Panel on Takeovers and Mergers. Representation of US proprietary trading firms in establishing UK subsidiaries, obtaining FCA-authorized status in the United Kingdom and passporting cross-border within the European Union. Provision of advice to numerous start-up managers in connection with the structuring, establishment and FCA authorization of their UK operations. Representation of a significant UK-based commodity trading adviser in restructuring its management operations so as to limit (1) FCA regulatory capital requirements and (2) the impact of the AIFM Directive, with the establishment of a non-EEA AIFM entity and appropriate levels of overseas substance so as to meet minimum regulatory requirements. Provision of advice to an institutional investment manager in connection with the impact of EU and international sanctions on its business. Provision of advice on the structure of a new UK crowd-funding business, including the FCA regulatory regimes. Provision of advice to clients on financial crime, bribery and corruption prevention, including staff training and implementing protective measures in the form of adequate procedures, due diligence and contractual protections.